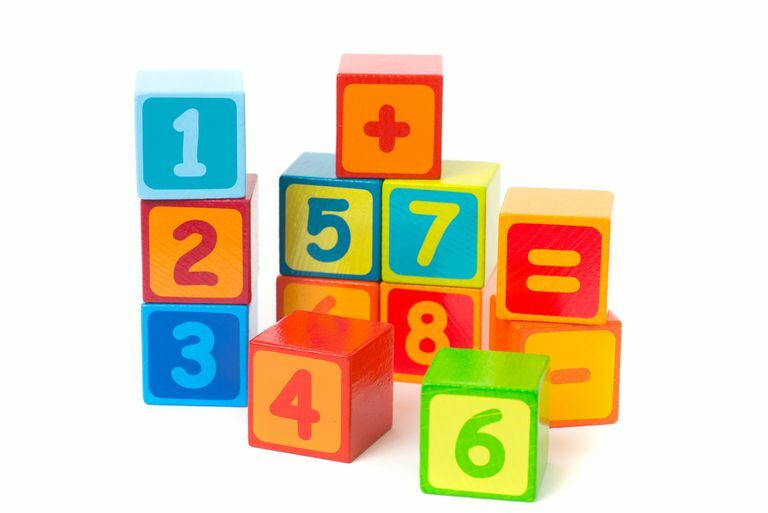 What will your child learn about math and numbers in kindergarten? What will he or she be expected to know at the end of the kindergarten year? Different states and even different schools may have slightly different goals, but this list can provide you with an idea of what you can expect your child's kindergarten teacher to focus on. Name ordinal numbers first through tenth. Sort and classify objects using one or more attributes such as position, shape, size, color, the number of corners, etc. Separate whole to parts and back to whole. Compare measurements and correctly use the terms shorter, longer, taller, heavier, warmer, more, less, etc. What If Your Child Already Knows This Material? If your child already knows most of this material and is not started kindergarten, you have several options to try. You might try working with the school to get special accommodations to meet your child's needs. That could mean getting your child started in kindergarten early or skipping ahead to first grade, depending on when you discover that your child has already mastered the kindergarten math curriculum. If your child has the material mastered at age four but won't start kindergarten until she turns five, you can try to get your child started in kindergarten early, at age four instead of five. If your child is already five and about to start kindergarten, you might try getting the school to skip him to first grade. However, if you go this route, you want to be sure that your child has also mastered most of the rest of what is taught in kindergarten, including social skills. If your child is advanced in math but is not advanced in reading or reading readiness, early entry or grade skipping may not be the best option. That is true in terms of social skills as well. In most cases, you are likely to meet with resistance to early entry to kindergarten or grade skipping. In that case, you'll want to see what the school is willing to do to accommodate your child's advanced needs. This, too, can be difficult with kindergarten age children. Many educators do not accept that children so young need anything special. One accommodation you can ask for is that your child is allowed to go to the first-grade classroom for math instruction. You can also ask that the teacher provide differentiated instruction for your child in math. The final option, which is the one that most parents choose (or have to choose since the school won't provide any accommodations) is to supplement work at home. For kids who do well in math and love it, providing extra lessons and work at home isn't pushing. It is most likely their idea of fun. If you are good with math and numbers yourself, you can provide lessons yourself. However, there are also lessons available online, even for young children. The Kahn Academy, for example, has free lessons available on very basic math, starting with counting. Your child can start at any point. Just remember, your child already enjoys math, so there is no reason to push her. Nurture her interest. Follow her lead. As long as she is interested, let her learn all she wants. That is likely to be a great deal!